The INZONE™CPU-Holder is the latest addition to the INZONE™ range. The INZONE™CPU-Holder is a versatile mount for computers that is easy to assemble and fits perfectly suitable for sit- and stand desks. The adjustability of the product makes it fit most of the computers on the market. 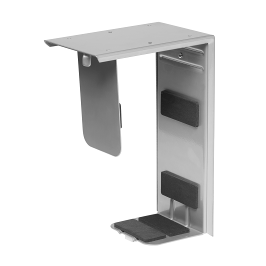 Due to extra safe locking mechanisms the INZONE™CPU-Holder keeps the computer safe both horizontally and vertically. The adjustments can be set totally individually and after need.